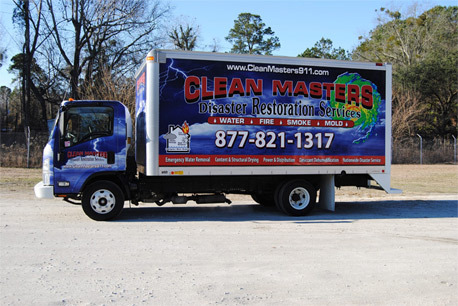 Whether your water damage is due to flooding or broken pipes, Clean Masters is here to help you in your time of need! Let Clean Masters help you recover from a fire damage disaster, and minimize any disruption your home or office may experience. Our professionals can effectively clean smoke damage and safely restore your belongings damaged by smoke and soot. Clean Masters has the unique combination of training and ability to handle any mold inspection and removal tasks. Get healthy clean carpets by calling Clean Masters! Dirt, pet dander, stains and other contaminants don’t stand a chance when our professionals are on the job! Preserve the vibrancy and value of your area rugs. Clean Masters will extend the life of your prized possessions with a deep and thorough cleaning. Protect your upholstery with Clean Masters. Our cleaning techniques and equipment will thoroughly clean and protect your upholstery for years to come. From humble beginnings, Clean Masters is now a leading water damage, fire damage, smoke damage, and mold removal company. We have invested in high quality equipment and ensure all our employees receive the proper training they need to provide our customers with the very best service. My family and I would like to thank you and your team for everything you have done to help us. A waterline burst in our bathroom and flooded our entire house. We called the insurance company and they gave us your phone number. Within an hour or two after calling, your team was at our home. They were great; it really helped with such a fast response. Thank you again for everything. We will highly recommend your company to anyone who goes through some type of disaster like this. I recently arrived at work at Pinckney Elementary to find our Media Center/Libary flooded. Clean Masters responded with a sense of urgency, quickly beginning the water removal and drying process. Mr. Faulling was on the scene each day and personally gave me a daily update on the progress and explained next steps. Ultimately, Clean Masters’ timely response and meticulous restoration saved our school thousands of dollars. I extend my appreciate to Mr. Faulling and the entire Clean Masters team.